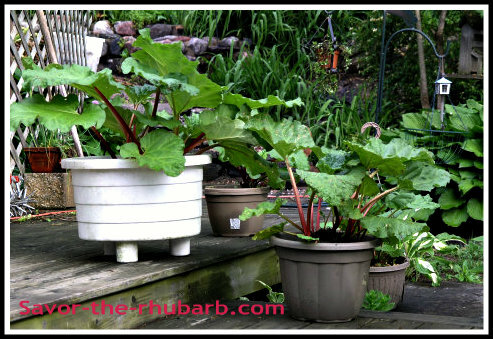 Make rhubarb-compote, store in the refrigerator and you have an excellent rhubarb sauce fit for ice-cream, plain cake, yogurt, on pancakes, ...the list goes on. 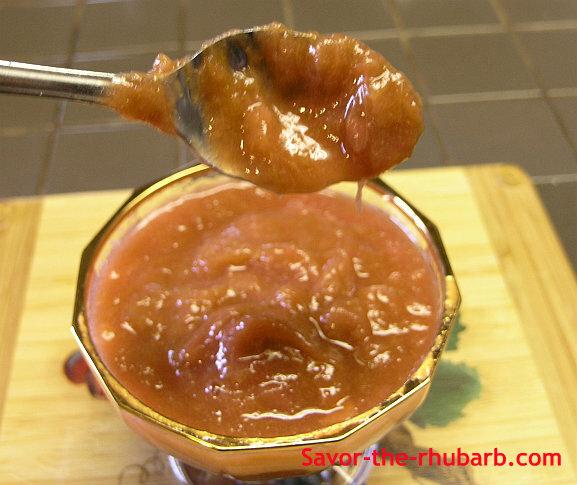 What is compote and rhubarb? More specifically, what is a compote? It is simply a stewed fruit. The level of sugar added depends only upon your sweet-tooth. 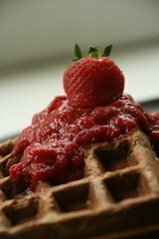 Compotes compliment any variety of desserts you may be serving such as pound cake, a sundae, or mixed with other berries and added to waffles for breakfast. It is not only made with sugar and lemon either. Other things such as vanilla, spices or orange and other flavors can be added as well to enhance the taste. This sauce is used for main-course meat dishes. Compotes are frequently used with pork and beef as a sweet taste to combat a stronger taste from the meat. 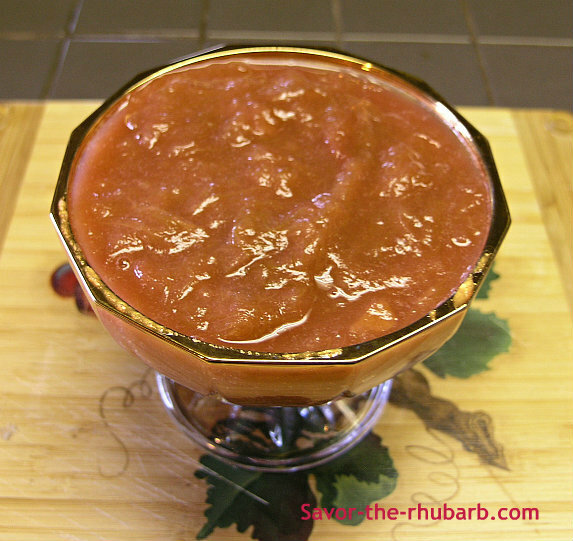 If you like, this rhubarb-sauce stands by itself also served simply in a bowl with nothing else added. That was the way my Grandparents liked it. Cold, and in a soup-bowl. You can refrigerate this compote for 4 or 5 days too. look, see how really simple it is to do. Simmer all ingredients on low heat until rhubarb is soft. You can puree in a processor if you like it extra smooth! This mixture really adds to hot oatmeal in the morning. Mix the rhubarb, ginger, honey, lemon zest and apple juice or cider in a saucepan. Cover and simmer until the rhubarb is tender for approximately 8 minutes. 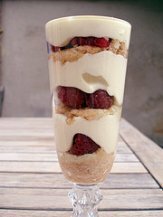 Cool and serve over vanilla ice cream, or pour into glasses and top with whipped cream. Bring the apple juice to a slow boil in a sauce-pot. 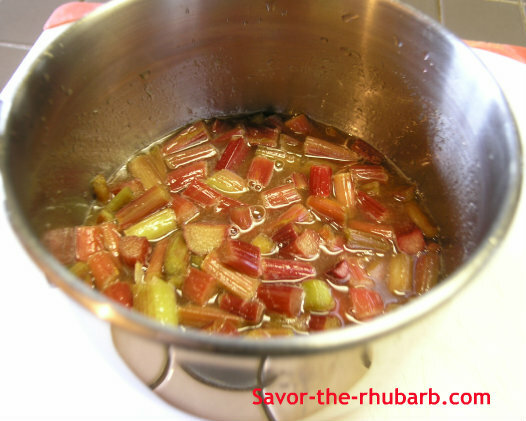 Add honey and rhubarb pieces and stir well while the honey melts. Cook for 6 to 8 minutes (simmering, heat reduced. Did you know you can add a slice of beet to your compote for a deeper color if desired? Add in with apple juice and simmer until you can see the color being released. Taste-test and add more honey if desired. If not, remove from heat and let it cool down and thicken naturally. Remove your slice of beet if you added it in and discard. 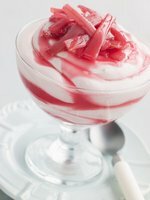 Combine your rhubarb compote with Greek Yogurt. It's a healthier choice and just as tasty! So much to do with compote. 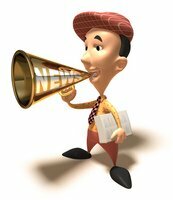 These items might interest you too! Take advantage of the many things you can do by having rhubarb-compote around. It's tangy and really adds to your recipes. 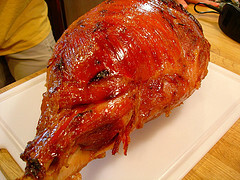 Glaze A Ham With Compote.